It’s here! Valentine’s Day! 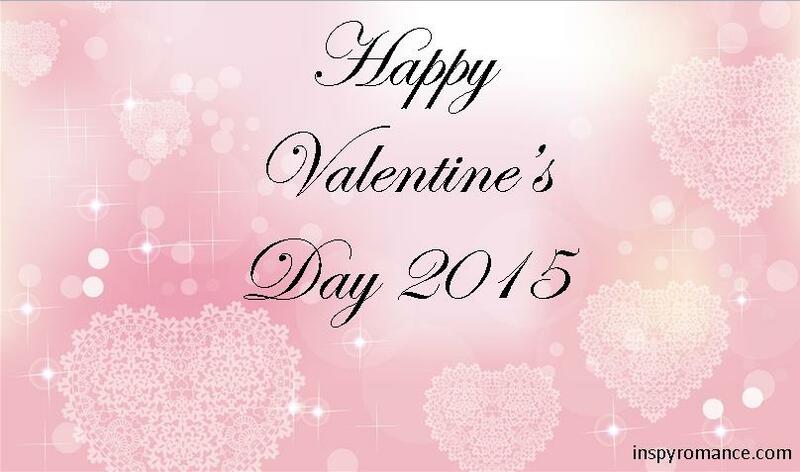 And this year, here at InspyRomance, we decided to share some of our personal love stories! Now, even limited to 100 words each, with nearly 30 authors… well, that would be a LONG blog post! (And let’s be honest – keeping us to 100 words? Not always possible ;).) So we’re going to share a few today and more in the Sundays to come :). I met my husband when I was seventeen. We were in the same orientation group at college. We hit it off and were married two years later. He proposed while we were watching TV. 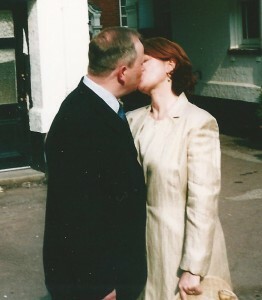 We’ve been married twenty-four years. My husband and I met in a health clinic – as nurses not patients! My job included shadowing nurses in different areas. God obviously meant us to meet! His clinic was NOT on my list, yet I was assigned there. After a day watching him handle patients with kindness and professionalism, we stayed talking for hours. That night, I told a friend I’d met “the most interesting man”. Three weeks later, I was in love. Three months later we were engaged. Twelve years later, life throws us challenges, but we’re still in love, still both deeply committed to our marriage. I met my husband Gregg in an online writing group. We knew each other on there for several years without any kind of romantic thoughts of each other. He’s a computer expert, and about a month after I left my adulterous husband, my computer crashed. Gregg was coming through my town for a different reason and stopped by to see if he could help me fix it. We were engaged 3 months later and married 6 months later. She wrote more about it here. When I was a junior at Syracuse University I was watching tv when a commercial came on starring several Syracuse students. One was a very tall, dark and handsome student who happened to catch my attention. A friend of mine was with me at the time and we both remarked on how good looking he was. Fast forward a few weeks and I spotted him on a bus transporting students to campus housing. I tried my best to catch his eye, but he was too busy talking to his group of friends about basketball. Hmph!!! The next time I saw him he was walking with a girl who was wearing his over-sized Syracuse jacket….girlfriend alert. Double hmph!! A few months later it was my best friend’s birthday and my girlfriends and I all went out to the local pub/dance club to celebrate. Well, as luck would have it, Randy was there. And he made eye contact with me and asked me to dance. And the rest, as they say, is history. At 17, I moved halfway across the country to go to Evangel College (now University). I’d worked at Chick-fil-A back in Phoenix and had already arranged to transfer to the store near my college. Some of my new friends and I went to the mall one night and I stopped into the store to see if my new boss was there. I met one of the shift leaders (who was kinda cute ;) and cleaning the lemonade machine). That Sunday I attended a local church with the same group of friends. When I started work the next week, I made up my mind not to be my normal, introverted self. I knew how to do this job and do it well. I spend most of the (very slow evening) shift talking with that shift leader and discovered he was still in high school, but he’d been visiting the same church. Since I was carless, he picked me up for church the next Sunday. We spent five hours over pizza that afternoon, played mini golf, and went to see The Firm. 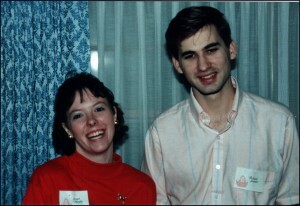 Our first official date was a week or so later to a Rich Mullins concert. Three and half years later, we got married. 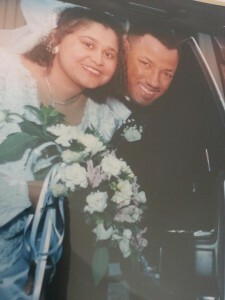 In May, we’ll have been married for 18 years :). Don’t forget to pop in tomorrow and find out ALL about our BIRTHDAY CELEBRATION! I love reading these mini-inspy romance short stories! I too loved all these how-we-met & married stories! Especially Ginger’s…I thought it funny that you didn’t even like Richard when you met him & yet God put the two of you together! Isn’t that just like Him to do? 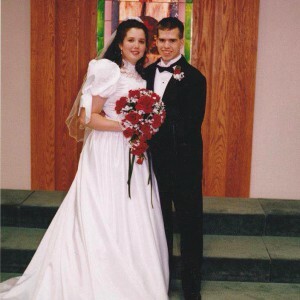 And now you are going to be celebrating your 25th anniversary…God is so good! Each of your stories is a testament of God’s love & how He established your relationship and marriage. I pray you keep Him in the center of it all, life (and marriage) is too hard without Him in the midst of it :-) Thanks for sharing your stories with us today, I love real love stories…well the fictional ones too of course! And lastly, I am looking forward to all the birthday goings on here on Inspy Romance tomorrow! Birthdays are so fun aren’t they? ?